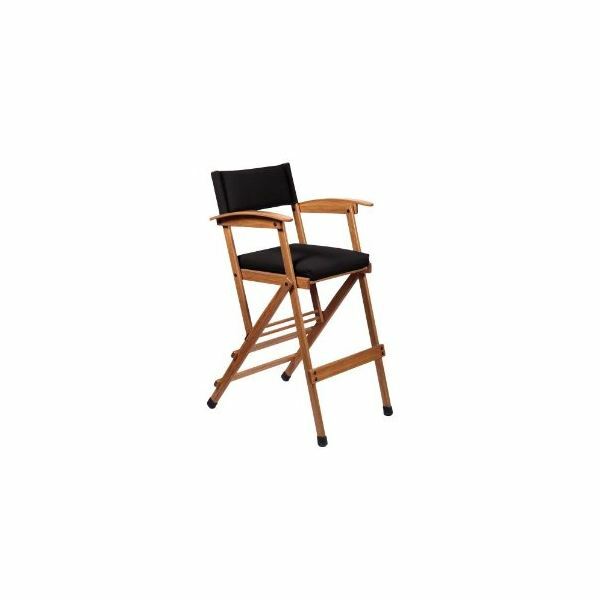 Film director chairs can be used for a variety of purposes including home design, outdoor events and of course, on movie sets. Different chairs are made from different materials, and they are designed according to their intended main use. Here are some recommended director's chairs for a variety of uses. This chair is highly portable because it folds into a very compact size. It is also very comfortable thanks to its foam padding on its backrest, seat bottom and armrests. More comfort is provided with by a mesh that makes up its lumbar panel. To top it all off, it has a side table cup holder, perfect for directors or aspiring directors who love coffee or other kinds of beverages. This stylish black arm chair is suitable for people who need to travel but hate carrying heavy and bulky gear. 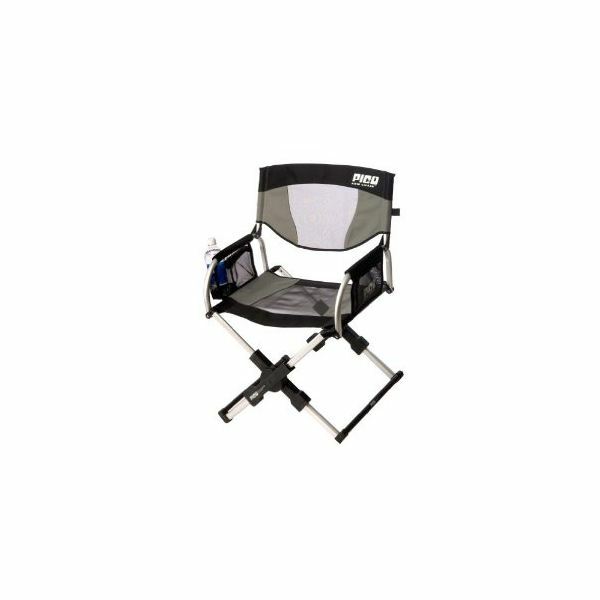 It is most suitable for directors who enjoy shooting adventure films because this easy-to-fold chair can be carried around easily without straining their back. Because of the light aluminum materials used, this product weighs only 9 pounds but can support up to 250 pounds. Also, it includes several organizer pockets for storing various items. 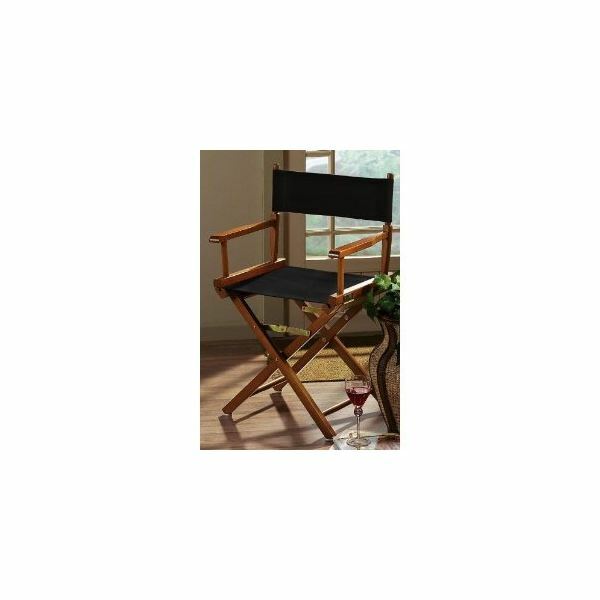 If wooden chairs are not your thing, this director's chair with a heavy duty aluminum frame would be right up your alley. 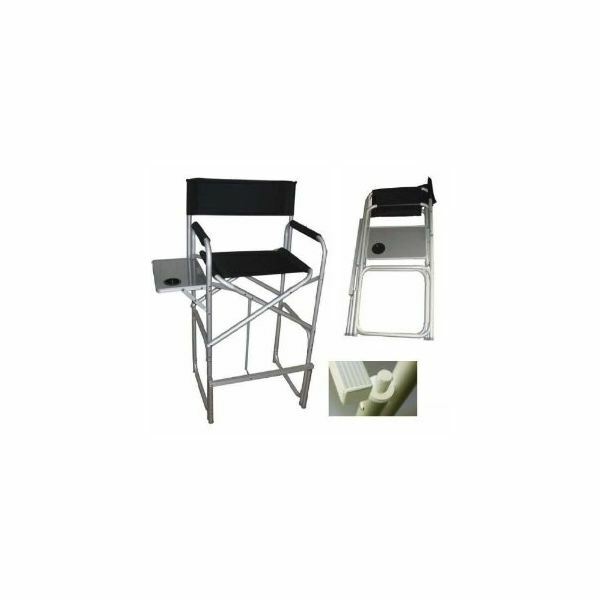 It offers more support, thanks to its braced design, so even if you're a little on the heavy side, you can sit in this chair knowing that you are very well supported. The chair weighs 10.4 pounds but can support up to 300 pounds weight. It comes with a retractable table, comfortable cushion made of polyester fabric and an attached foot rest for your tired feet. Japonesque is a trusted industry manufacturing innovative and high quality cosmetic accessories for professionals. 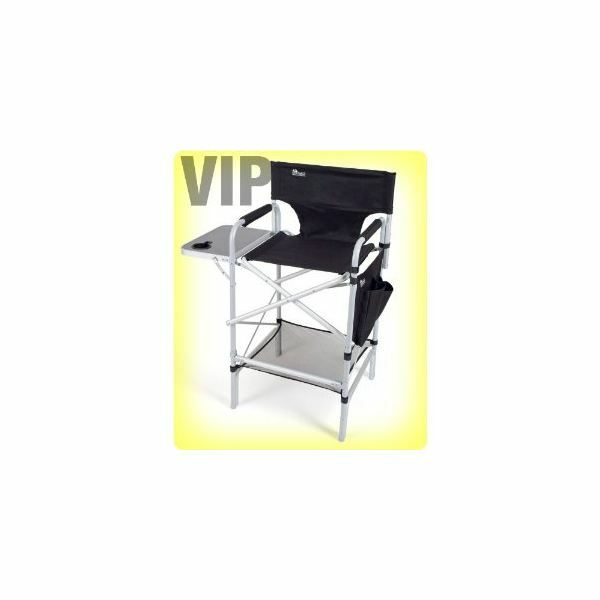 Besides from make-up brushes and beauty tools, Japonesque also offers glamorous director's chairs. 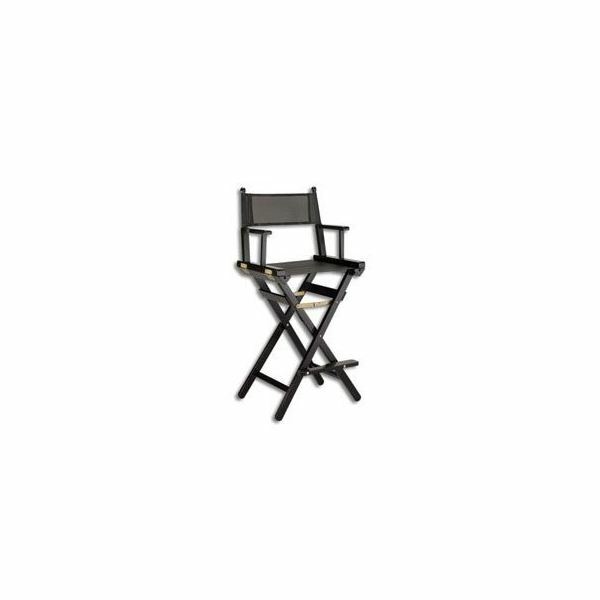 It is designed with style and elegance in mind, which makes this chair one of the most popular chairs for directors and actors who love to make a statement even with their sitting equipment or who have makeup applied to them. 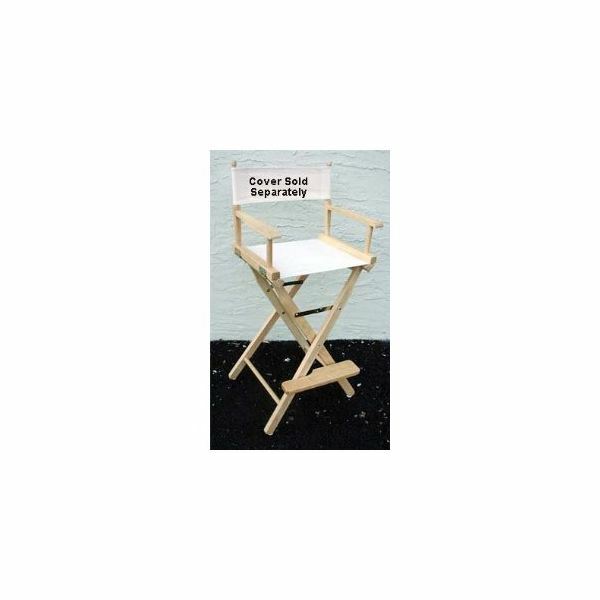 This must-have chair for make-up artist is optimized not only to be comfortable for demanding directors and celebrities, but also to have makeup artists move around it efficiently. The seat folds out easily and takes up little space when not in use. It also comes with a zippered carrying bag for protection and easy transfer. The chair's quality, durability and style is worth the price when it comes to Japonesque products. For people who like customizing their director chairs, this fully assembled chair frame can be used with any type of canvas with any type of design. It has a classic and elegant look that would match any color or design. Take note that the price is only for the chair frame. You would need to purchase the canvas separately at an additional cost. 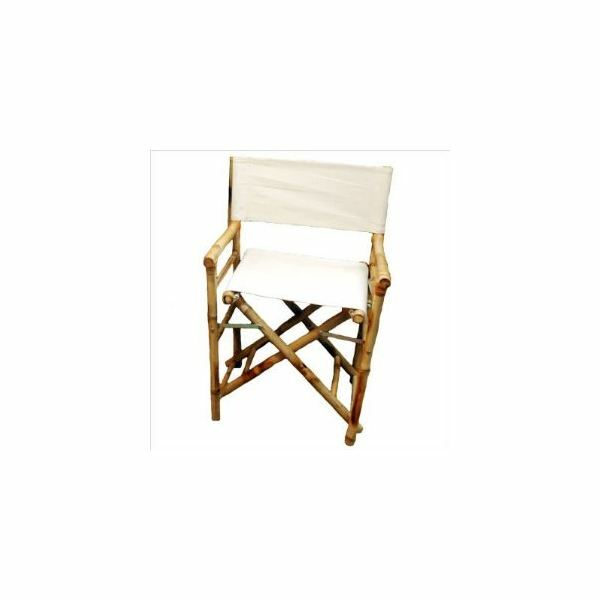 If you want a different look and feel that separates itself from the usual types of director's chairs, this low bamboo chair fits the bill. It has Eastern design elements that not only exudes class, but also strength since it is made from real bamboo, which is one of the most durable kinds of wood out there. This product is sold in pairs. Its aluminum frame exudes strength and stability, something that powerful people such as directors, actors and models would feel comfortable using. Aside from the stability it offers, it also has a large side table with built-in cup holder. This tall director's chair frame is designed to have a neutral look so it is easy to incorporate into any kind of interior design. It can also play well with any kind of color or design of canvas. It manages to look very basic yet it avoids looking dull. Take note that since this is only a chair frame, the price will be higher if you choose to purchase the canvas which is acquired separately. 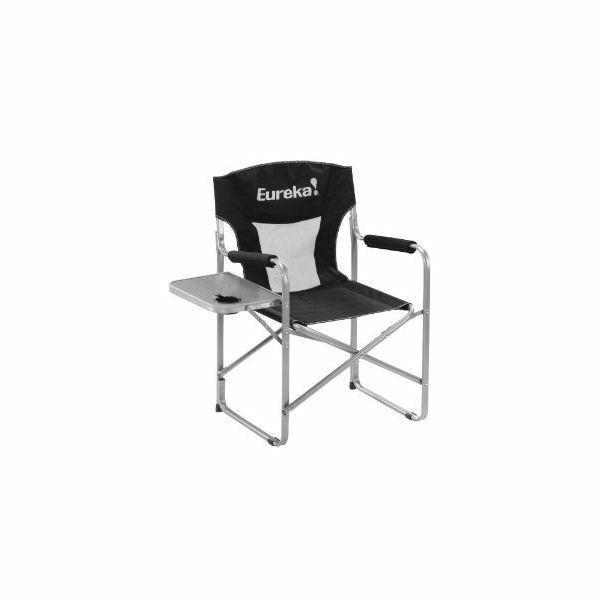 This chair is fully equipped to be used in outdoor environments such as parks, camping areas and even parking lots for sporting events or filmmaking sessions. 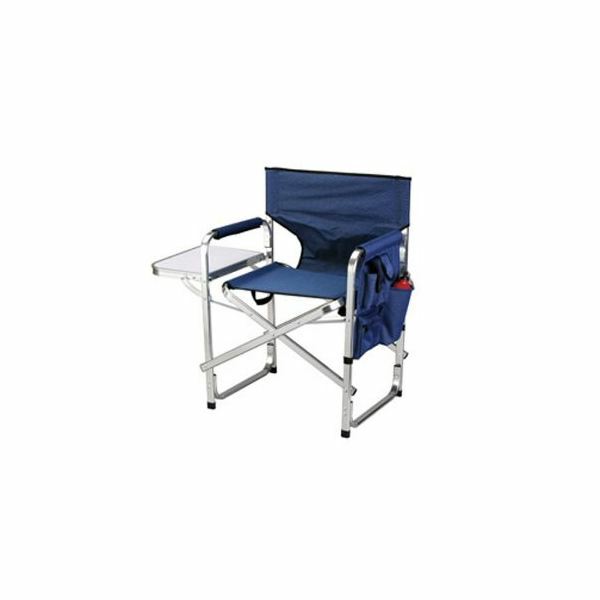 It has a sturdy design with an aluminum frame that is light enough to be comfortably transported. It also folds into a compact size so storage and transport is very efficient. This 32-inch director's chair says nothing but class. It is made of solid elm with a polyutherane finish. Aside from looking very modern and artistic with its curved arms, it features durable and stain-resistant fabric for its canvas that contains high density foam for padding. The materials used in this chair are not the usual everyday materials used in other chairs, and its premium quality demands an equally premium price.